Home > Selector Magazine > Wine > How to host your own wine tasting party! How to host your own wine tasting party! 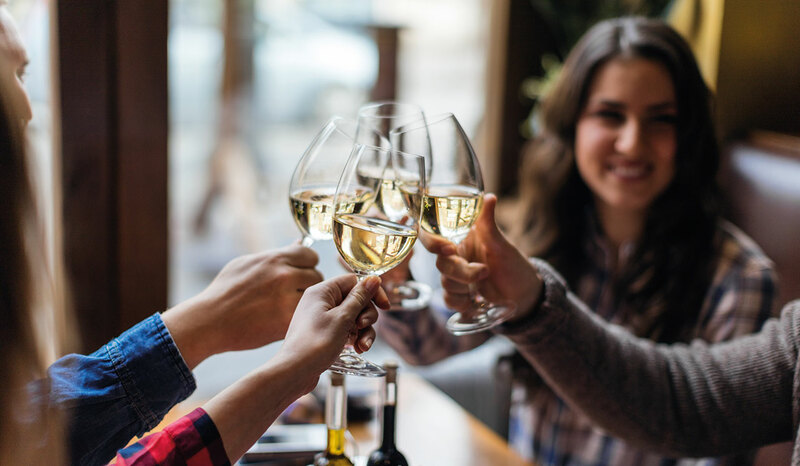 Gather your friends and put your collective wine knowledge to the test with a wine tasting party! It’s all about bringing that cellar door tasting experience to your home and enjoying good wines and good times. There are no rules to the type of tasting you host – from a sit-down dinner to an impromptu barbeque, or a casual lunch. Or, you can step it up a notch and host a themed party using some of our ideas (see further below), or make up your own – just make sure it’s lots of fun! Put the wines in bottle covers and mix them around so no one knows which is which and number the bottles. We suggest tasting up to four wines each session. Now for the best bit. Pour a wine into the corresponding numbered glass for each player. Announce the theme and let the tasting begin. Thinking about the colour, aromas and taste, each player should jot down their thoughts on their tasting sheet. Reveal and discuss each wine, reading out your tasting notes, remembering there is no absolute right or wrong. Re-set and start again. Have fun choosing the wines for your party. Simply select from your latest Wine Selectors collection or ask your friends to bring a bottle. There are so many themes you can chose for your wine tasting party. Here are a few different ideas to get you started. Regional rumble – taste the unique characteristics of varieties grown in various regions. Favourites – ask your guests to bring their favourite varietal making sure they’re all different. Price wars – choose the same variety and vintage from different price points and see if the price reflects the quality. Vertical tasting – choose one wine and taste several different vintages. It’s really interesting to experience the similarities and the differences from year to year. Food theme – Thai with Riesling or Gewürztraminer, tapas with Tempranillo or Sangiovese, seafood with Semillon or Sauv Blanc, the combinations are endless. New wave wines – with so many fantastic emerging alternative varietals now available, step out of the comfort zone and introduce your guests to some deliciously new drops. With each party and tasting session you’ll detect deeper, more involved aromas and flavours – after all, practice makes perfect. Get Your Own Wine Tasting Party Kit! To help expand your love of wine and make tasting fun and easy, we’ve created a great kit, which you can use next time you’re hosting a tasting or even at an impromptu get-together.